One of my favorite things to do before going on a trip is pack my suitcase. I am known for my over packing. Often my thoughts are “why not bring it, just in case I might need it.” That often results in me carrying around unnecessary extra weight and bringing lots of stuff back I should not have brought in the first place. As I have continued to travel to different places with various types of weather, I have improved my packing skills with each trip. With our weekend trip to Portland in August, I will really test how much I have improved on packing smart when I will only take one carry-on. I guess this is good practice for the rest of the trips I have this year as well. -Make a packing list- First and foremost, write it down. Create a packing list accounting for how many outfits you will need based on the weather of where you are visiting and what you will be doing. When you have a list, it is easier to stick to without adding additional items you really do not need. As I mentioned in Travel Tips I, research is crucial to planning a trip so make sure you research before you make your packing list. 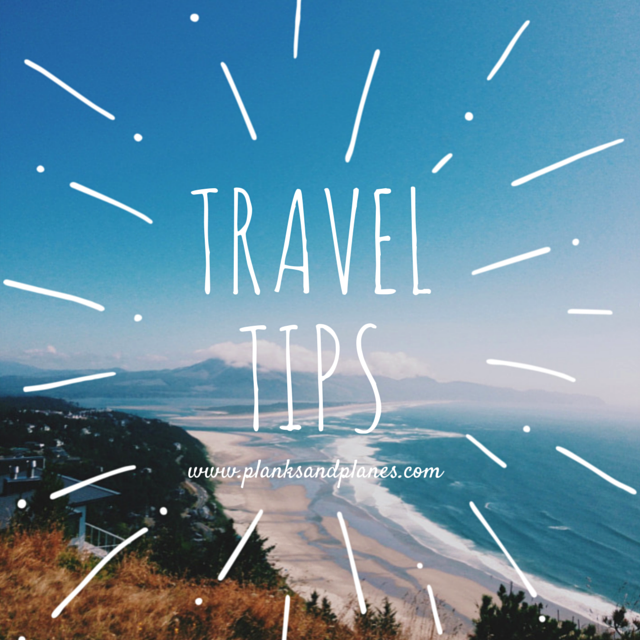 Creating a packing list based on research of your destination also makes sure you bring anything you would not have thought of based on the current conditions, i.e. sunscreen, umbrellas, hiking shoes, etc. -Roll your clothes- Not only does this help save space when packing but it helps to keep clothes less wrinkled. I hate wrinkled clothes and hate it even more when I arrive at a hotel where they do not have an iron in the room. Folding your clothes in half then rolling them up takes up significantly less space and allows to you better utilize small space in luggage. Dress smart: Layer, stick to neutral colors and pick versatile items- When packing clothes for a trip, pick light weight, versatile clothing items that you can mix and match as well as layer. This allows you to use clothing items multiple times in different outfits which means bringing less. When you stick to a neutral color palate or one color you will be able to mix and match easier. Don’t fret- this does not mean you need to look like a plain jane in your vacation pictures as you can still add color into your wardrobe. Add color through jewelry, accessories and shoes which take up much less room. Pack your shoes- Yes I love shoes but I am not reminding you to bring them. Instead pack the inside of your shoes with small items i.e. jewelry, socks, accessories, phone cords, etc. This way you are utilizing as much space in your luggage or carry on as possible. You would be surprised how much fits in them saving you space and allowing you to store smaller items without worrying about them getting lost in your luggage. Maximize your personal item- Utilize the fact that most airlines allow you to have one personal item in addition to your carry on. Don’t bring a small purse or bag, use a backpack or duffel. They offer a maximum size you can bring on so make sure you take as large as you can. Pack your personal item with important documents (passport, credit cards, ID, etc.) as well as the items you will use on the plane and valuable items like electronic devices and chargers. Group your outfit together in a large ziplock bag- I picked this trick up when doing Ragnar and I will continue to use it when it comes to packing. Instead of planning the top, bottoms and shoes for an outfit then later throwing an extra shirt in case I spill or different shoes in case I change my mind, I pack only my outfit. Using the jumbo ziplock bags, place your shoes (then any socks or accessories in the shoes as I mentioned above), top, bottoms or dress and undergarments together. Everything you need is grouped, in one spot with no unnecessary items thrown in. With the ziplock bags, you should only need one other bag for your toiletries which would easily fit in a carry on. Use plastic bags or ziplock bags- If you use ziplock bags to group your outfits together, then you can put your dirty clothes back in the ziplock bags. Wrap up your shoes with plastic bags to prevent them from dirtying your clothes. Then you can use the plastic bag to throw your dirty clothes in during the trip. Saving space and planning ahead is what you need for packing! Hopefully some of this tips will help packing on your next trip- good luck! Tell me in the comments: Are you an under-packer or an over-packer? Do you have any tricks you use when packing? 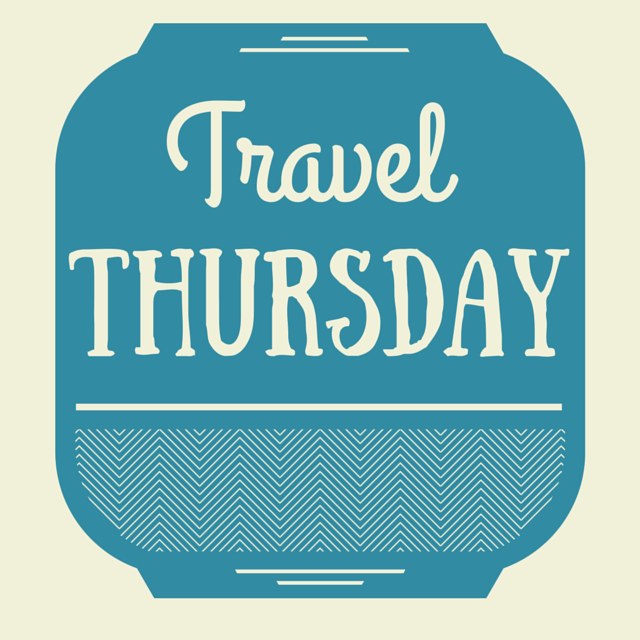 This entry was posted in Domestic, International, Packing, Travel, Travel Thursday, Travel Tips, Traveling, Wanderlust and tagged Domestic, International, Packing, Travel, Travel Thursday, Travel Tips, Traveling, Wanderlust. Bookmark the permalink. Another trick for those in need of room – Many hotels provide free toothbrush / toothpaste upon request — this is another way you can reduce your toiletries you have to carry during travel!